Wingsuit flying is the most adrenaline sport there. It’s the sport of flying a human body through the air while wearing a wingsuit. The modern wingsuit (or “flying squirrel suit”) was invented in the 1990s and it enables people to soar through the air due to the surface area created with fabric between the legs and under the arms. 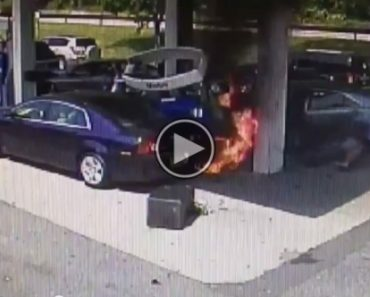 This Off Duty Cop Save A Man From A Gas Station Inferno.